New favorite vest + new favorite jeans + old favorite boots + all time favorite bra = best outfit ever! 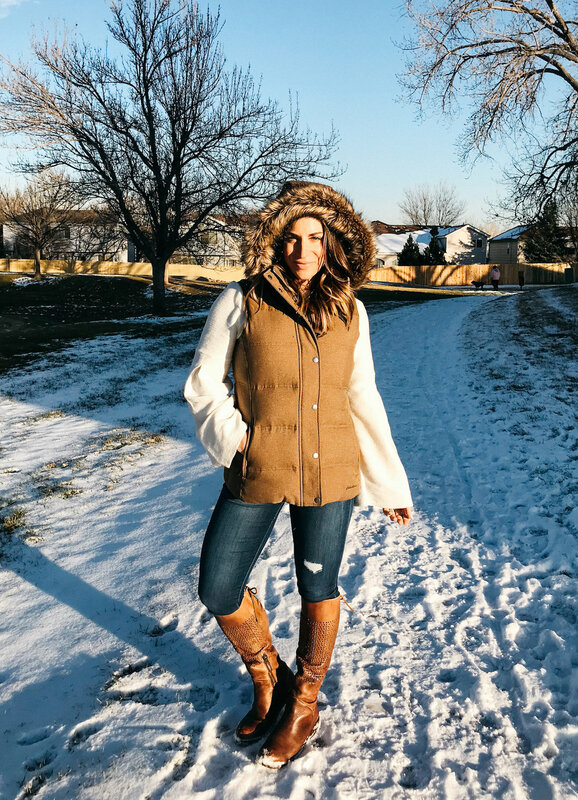 This vest is actually the Noble Down Vest in Chestnut from Eddie Bauer (just couldn't link the exact vest). BTW who knew Eddie Bauer could be so stylie? Ladies, do yourself a favor and get a Thirdlove bra. 85% of my time is spent in a sportsbra, 5% braless, and the remaining 10% is spent in this ThirdLove t-shirt bra. It is seriously the only "regular bra" I wear and I've had it now for almost a year and a half and it's in near perfect condition. Hear me now and beleive me later, this bra is the bomb! You can now shop this exact look on my fashion blog!